The Upper Cervical Blog: Can Spinal Trauma Cause Migraines? Can Spinal Trauma Cause Migraines? If you are currently living with migraine headaches, you are familiar with the classic symptoms of intense, throbbing pain on one or both sides of the head accompanied by nausea, vomiting, dizziness, visual disturbances, and sensitivity to light and sound. Migraine attacks range between four and 72 hours, during which many sufferers sequester themselves in a quiet, dark room until the attack passes. The large majority of migraine patients are unable to work, attend school or function normally during their attacks. According to the Migraine Research Foundation, nearly 30 million people, or 10 percent of the U.S. population, suffer from migraine - 75 percent of them women. About half of affected women have more than one attack each month, and a quarter experience four or more severe attacks per month. In addition to suffering through the attacks, many of those afflicted with migraine live in constant fear of the next attack, which could come at any time to disrupt work, school, family time and social activities. This devastating impact upon adults, children, work and family life warrants migraine's ranking in the top 20 of the world's most disabling illnesses. 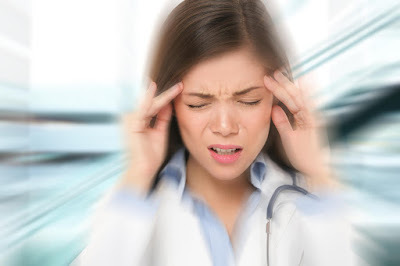 While migraine headaches can be triggered by a number of factors, including stress, excessive light or sound, fatigue, hunger, food sensitivities, hormonal fluctuation, weather changes, caffeine, or cigarette smoke, it is important to understand that these "trigger factors" do not cause migraine headaches. One causal factor, which is beginning to appear more frequently in medical research, is head and/or neck trauma. It is thought that trauma to the alignment of the head and upper neck (C1 and C2 vertebrae) alters nerve and blood flow in the brainstem, leading to headaches. A chiropractic technique that focuses upon the alignment of the head and neck is known as upper cervical care. 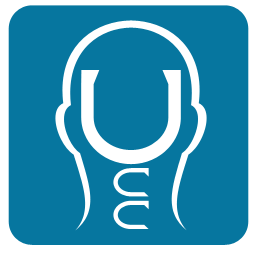 To accurately assess whether a migraine patient may benefit from care, the upper cervical chiropractor will perform two diagnostic tests: thermal imaging and digital X-rays of the spine. If an upper cervical misalignment is diagnosed, the patient's injured neck is corrected by administering a precise adjustment by hand on a specially designed knee chest table. Many migraine patients notice improvement in symptoms with just a few treatments.